Broadwell has a 3 or 4 village halls, and people trying to find them on a first visit often get confused. 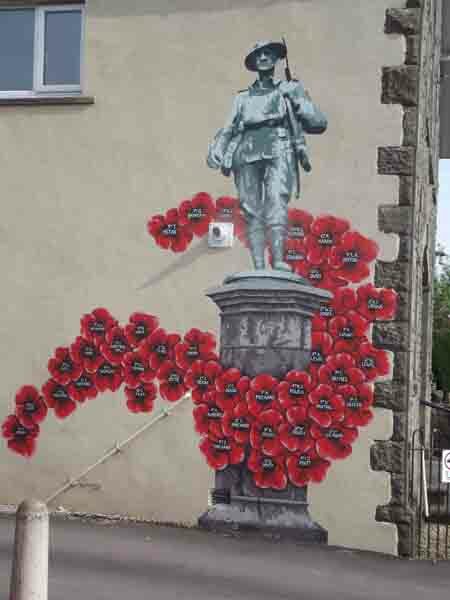 In order to make it clear which was the War Memorial Hall I was asked to paint up an image of a memorial on the road side wall. It turned out to be a very popular image with local residents. 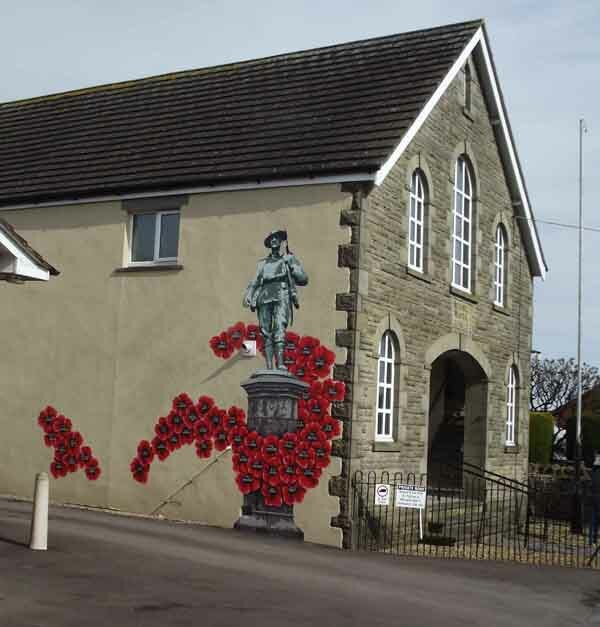 Broadwell Memorial Hall was built from public (miners) donations after WW1. During WW2 Italian prisoners of war decorated it with pillars, plaster relief and murals. The hall has the grandest stage in Coleford, with a sprung dance floor, a mirror wall for ballet, an active karate club and more.